This Situation Update describes events occurring in Bu Tho Township, Hpapun District during the period between June 2016 and August 2016, including villager’s livelihood issues, military activities, landmines, road construction, health and education. Between June and July 2016, caterpillars and mice started attacking civilians’ rice paddies in Bu Ah Der village tract, Bu Tho Township, Hpapun District. Therefore, the civilians are concerned about food shortages for the coming year. 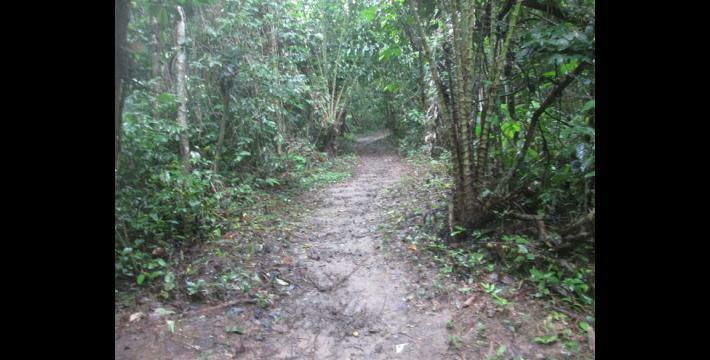 Early in June 2016, the Tatmadaw Army and the Karen National Liberation Army (KNLA) undertook demining of landmines together on the road between Kaw Pu and Khoh Nee Hkoh, Kaw Pu village tract, Bu Tho Township because the Tatmadaw requested to the KNLA to widen the road for the purpose of travelling. The Burma/Myanmar government declared that road construction in Bu Tho Township will start in 2017 and be completed in 2021. Some civilians have expressed a desire for this project but the Karen National Union (KNU) have not given full permission yet because it may not be the right time for development projects. The Burma/Myanmar government started working on education projects in Hpapun District in July 2016; they have tried to get schools in KNU-controlled areas to be under their education department project. However, local residents expressed their concern because if students from KNU schools want to study in Burma/ Myanmar government schools, they have to repeat their class or move down the grade. The following Situation Update was received by KHRG in August 2016. It was written by a community member in Hpapun District who has been trained by KHRG to monitor human rights conditions. It is presented below translated exactly as originally written, save for minor edits for clarity and security. This report was received along with other information from Hpapun District, including 39 photographs and nine video clips. This Situation Update was collected between June and August 2016. This three-month Situation Update includes civilians concerned with their [paddy] destroyed by mice and caterpillars which impacted their livelihood in 2016-2017 [future harvest]. This Situation Update also mentions conflict among villagers: they were dissatisfied with the result from the organisation [court] order so they burnt down each other houses and lost their furniture. Saw A--- is a farmer in Bu Ah Der village tract. His paddy started being destroyed by caterpillars on July 2nd 2016. He could not do anything to stop those caterpillars. Therefore, villagers have to face food problems every year. Regarding the caterpillars destroying paddy, it is not only on this paddy field, we [community members] have heard that so many other villagers were complaining [about caterpillars destroying their paddy] too. This is a very sad [situation] for the civilians in Karen State [Bu Tho Township] and they are really worried [for their livelihood]. There were several kinds of caterpillars that were destroying the paddy; some were big, some were small, some were black, red, green and brown. We [community members] heard some people [farmers] did not have other ways [techniques] to stop these caterpillars, they just bought pesticide spray called DDT and sprayed it [on the farm]. However, we do not know whether it is effective or not. 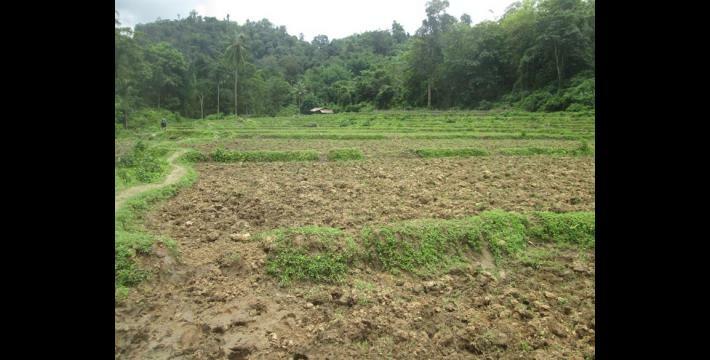 We [KHRG community members and villagers] did not know the specific date of the mice destroying the paddy [rice seeds]. They [mice] have been digging out the paddy seeds from the ground since people [farmers] started planting paddy in June. 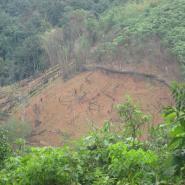 Some farmers in Meh Klaw village tract had to stop their hill farming. Regarding the mice [destroying the paddy], we could not capture the photos while they were digging out the paddy seeds from the ground. Some farmers could still farm half of their hill farms but we are not sure if they will be able up to work to the end [harvest] yet. Even if the paddy plants are growing, they [the mice] can still eat and destroy the young paddy leaf so these [remaining paddy plants] can still be destroyed. The mice destroying paddy happened in Bu Tho Township. Villagers complained that the mice destroyed paddy because so much bamboo has fruited so there are many mice as well as many other things that cause the problems to their [villagers] livelihoods. Villagers and village leaders tried to stop the mice in many ways such as hunting the mice and by using their traditional beliefs of stopping working for a day but these [techniques] did not make the mice [problem] go away. One villager started hunting the mice by snares after planting the paddy; he got eight hundred mice per week. There were many people hunting the mice in many other places too. Some of them hunted the mice by slingshot from 20:00 pm to 21:00 pm and they got twenty to thirty mice [per hour]. Regarding these mice and caterpillars destroying paddy, villagers have no way [technique] to stop them. They already acted as their traditional beliefs [taught them] but nothing changed. At the beginning of June 2016, the Tatmadaw Army and Karen National Liberation Army [KNLA] were cooperating to demine the landmines in the place between Kaw Pu village and Khaw Nee Hkoh village, Kaw Pu village tract, Bu Tho Township. They [Tatmadaw] requested [KNLA] to give them [a travelling road] two-hundred feet wider [than the current horse road], so they [KNLA] removed the landmines along the horse road where Tatmadaw Army transport their rations. As the information mentioned above, some villagers from this area were sad [worried] and some of them thought [doubted] whether the Burma/Myanmar government would work honestly [or not].They [Tatmadaw] cleaned [vegetation from] their travelling road from the Kaw Pu Tatmadaw Army Camp to Khaw Nee Hkoh [village]. No Tatmadaw Army camps have been withdrawn from Bu Tho Township yet. Some of the Tatmadaw Army Camps are based on civilians’ hill fields; some of them are on the civilians’ travelling paths to get salt and fish paste or sell something [to the other villages]. But villagers have to find a new road to get the food [from other villages] now. After the Burma/Myanmar government and Karen National Union [KNU] signed the [Nationwide] Ceasefire Agreement [NCA], Burma/Myanmar government started doing many projects, including a vehicle road repair project. Moreover, on July 21st 2016, Burma/Myanmar government distributed letters about the vehicle road repair project in Way Hsa village, Htee Ber Hka Hta village, Hpapun Town, K’Ma Moe Town and Day Law Pu village. They will start spreading stones on the vehicle roads for this project in [from] 2017 to 2021. I got this [vehicle road repair] project letter from one of the Karen National Union [KNU] responsible persons in Meh Klaw village tract because the project staff gave this letter for Meh Klaw village tract. In the letter there was the date when they will start the project, and how long and how wide the road will be. Regarding this project, they have not started it yet, they just drew the project body structure. 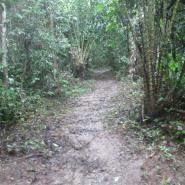 Civilians can travel on these [unpaved] roads in the summer but they cannot travel by motorcycles or cars very well in the rainy season because there are just unpaved roads. Regarding these roads, civilians who have motorcycles or cars want the [road] repair [project] but some civilians do not want it yet. They [Burma/Myanmar government] also constructed bridges to cross rivers in 2015 [for the road repairing project] but the Karen National Union [KNU] forbade it and did not give them permission yet. 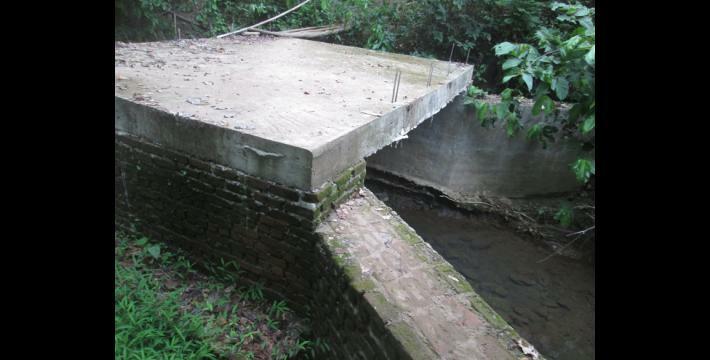 [KNU] said it was not the time to repair the roads [and bridges] with concrete yet. 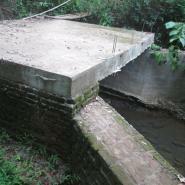 This bridge is [across] the Way Hkah Lo River between Way Hsah [village] and Htee Ber Hkah Hta [village]. [These are] the situations and the activities of the Karen National Union during three months in Bu Tho Township. They were holding political consultation workshops about current and past political situations, village tract by village tract. They included the [situations] of [Tatmadaw] abusing civilians’ rights and they [KNU] noted down the civilians’ work places which were destroyed [by Tatmadaw] in the record book. On July 20th, 2016, the Karen Office of Relief and Development [KORD] gave donation money of thirty-thousand kyat [US $24.56] per one [villager] in Hsaw Bweh Der area, Hkaw Pu village tract. Tatmadaw Army had been patrolling in Hkaw Pu village tract and they burnt out villagers’ hill paddy fields in April 2016. 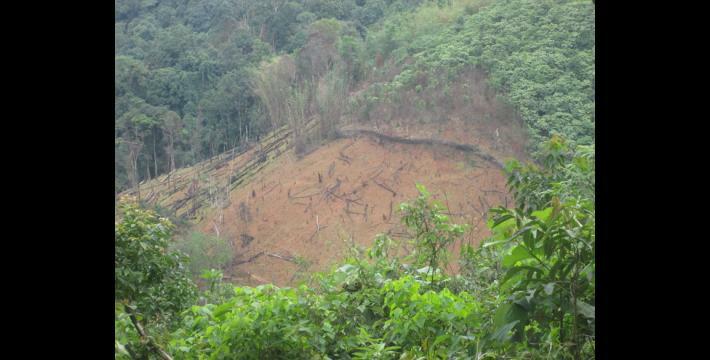 This was during the time that villagers kept the logs and bamboo dry [as a technique of hill farming]; it was not the time to clean [burn] out their hill farms yet. Therefore, civilians could clean just some parts of their hill farm and then [after Tatmadaw burnt the hill fields] Karen National Union tried to deliver [report] this case [to the other organisations] so Karen Office of Relief and Development came [into the village and gave donation money] once. 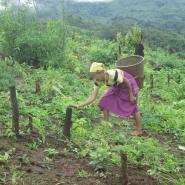 Most of the civilians in [Bu Tho Township] are farming for their livelihood. But there is a small percentage of the civilians who are doing trade [selling and buying]. In 2016, there is plenty of bamboo fruit so mice are coming [to eat the plants]. Therefore, there are the civilians who already planted the paddy but they were not able to harvest [it] in almost all the village tracts. They could not harvest their paddy because of the mice digging out their paddy seeds from the ground and then the mice ate [destroyed] the young paddy plants while they were growing. 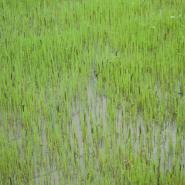 The mice also left some paddy plants in some of the paddy fields. 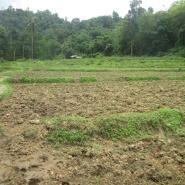 Even though the owners planted five baskets of paddy seeds there will be only two baskets of paddy seeds left for them. We [community member] have an accurate name list of the civilians whose paddy fields were destroyed by [mice], shown on the following pages. We got this name list from the Karen National Union, and from some villagers and village tract leaders who would like to report the details of the pressure [problems] that villagers have to face. Civilians reported that they have to face many problems but the only [biggest problem] is mice destroying their [paddy] work. In 2016, the other thing [problem] in this area [Bu Tho Township] is that it is not raining regularly so there is less water in the streams [to supply to the farms] when the civilians have to plant paddy. Therefore, civilians who are working on farms, getting water from [the streams] by water channels, cannot plant their paddy yet. If they plant paddy late they will get less paddy. 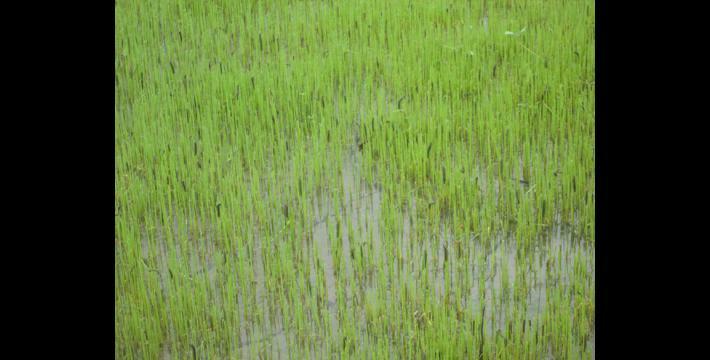 In Bu Tho Township, it is not raining regularly so most of the farmers have to plant paddy later than in previous years. In the previous year, most of the farmers had finished planting their paddy in July but in 2016, it was already August but some [civilians] farmers could not plant [paddy] yet. 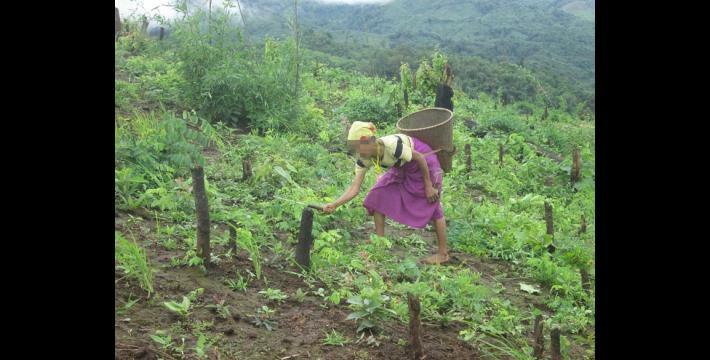 The situations of the civilians’ livelihoods are changing year by year. Because the civilians’ work [farming] is destroyed by many things, so [the civilians] are getting weak in their support for our mother Karen National Union. Regarding health issues in Bu Tho Township, the most common diseases that civilians face are fever, diarrhoea and some long term illness too. Civilians who live close to the vehicle road rely [go to] on the nearest Burma/Myanmar government clinics. If the clinic could not cure their disease and then they went to the hospital in Hpapun, Hpa-an or Ka Ma Moh. But there were some expenses or medical fees that they had to pay that were not proportional to their disease. Civilians who live far from the vehicle road and [areas] which are not under the control of the Burma/Myanmar government are relying on the Karen National Union [clinics] which provide free medicine and they have to pay only for their own food costs. For malaria to decrease, Karen National Union have tried to set up temporary malaria test centres in every village for the civilians and they already set up the clinic in many places too. Some of the clinics are at the level of the hospital but some of them are at the lower level. But there were some problems for the civilians who live far from the clinic because they could not reach to the clinic when they got an unexpected illness and they died [because they could not access the clinic]. Some of them took herbal medicine when they were ill and then they got better. Some of them cured their illness by their traditional [medical] beliefs. There are schools in almost all villages in Bu Tho Township. There are [five types of school]: the first type of school is civilians’ [self-funded] schools, they are established by villagers in that village. They have their own teachers, they pay for the teachers’ salary and food but they cooperate with Karen Education Department [KED]. The second type of school is religious [missionary] schools, they get sponsorship [funding] and teachers from [their] religious [group]. The third type of school is the [charitable] individual looking for sponsorship and there is the fewest in number of this type of school. This kind of school was established by [charitable] individuals who look for sponsorship. The fourth type of school is the Karen National Union schools; they get sponsorship from the Karen Education Department and some sponsorship come from Karen National Union. And the last type of school is the Burma/Myanmar Government schools; these schools are located in the areas under the control of the Burma/Myanmar government and they do not submit the students’ and teachers’ name list to the Karen Education Department. The Burma/Myanmar government started working on [controlling] education projects [in Hpapun District] in July 2016. I got the news that they will call teachers from the area under the control of Karen National Union to them and they will give [teacher] training and thirty-thousand kyat [US $24.51] per month [salary] to these teachers. Later on, they will recognise these schools as their [Burma/Myanmar government] schools and then they will register the number of students and teachers for their project [work]. Now the Burma/Myanmar government want to construct their schools into the areas under the control of the Karen National Union but the KNU does not give them permission. They already constructed one school in Ta Law Nee Kyaw [area] and they will start to construct the new one [in addition]. They will accept the students from Bu Wah Kweh village, Thaw Kheh Hta village and Kweh Neh village. They will teach Burmese [language] curriculum and they will not allow [the teachers] to teach Karen language. Now, if the students from the schools under the control of the Karen National Union and run by the Karen Education Department will go to the Burma/Myanmar government schools, they have to have the school’s transfer letter and the identification numbers of their parents. For example, students who finished fourth Standard from the Karen Education Department [schools], when they go to the Burma/Myanmar government schools, they still have to repeat the [same] standard. Regarding education, there is no independence for the civilians yet. For example, civilians who live in rural villages and send their children to the Karen Education Department schools to Standard four, Standard five or Standard seven, if they want to go to the Burma/Myanmar government schools, they have to move down the grade. There are annual expenses [for the children’s study] too. I got the news from the Karen Education Department staff in July 2016 that the Burma/Myanmar government Education Department send boxes monthly to the Karen Education Department schools; there are dolls and alphabets in the boxes for the children to learn with but there are not enough [for all the students]. Firstly, they sell it at seventy-thousand kyat [US $54.34] per box to the Karen Education Department schools. Later, after the discussion [between Karen Education Department staff and Burma/Myanmar government education department staff], they sell it for thirty-thousand kyat [US $23.38] [per box]. This sponsorship [box] does not look like it comes from the Burma/Myanmar government, it looks like it comes from the foreign country. Armed groups in Bu Tho Township are still using landmines on their boundaries [to protect their area] and there are some old landmines that they are not able to remove. In June 2016, I got information from the Karen National Defence Organisation [KNDO] Company Commander and he said ‘Both armed groups have to de-mine those landmines together and then we have to mark the landmines’ [location] that we cannot de-mine. In this report, most of the information mentioned is about mice, insects and caterpillars that are destroying the civilians’ work places [paddy] and this issue is not finished yet so [I] will send the report [about this issue] later again. In order to increase the transparency of KHRG methodology and more directly communicate the experiences and perspectives of villagers in south eastern Burma/Myanmar, KHRG aims to make all field information received available on the KHRG website once it has been processed and translated, subject only to security considerations. For additional reports categorised by Type, Issue, Location and Year, please see the Related Readings component following each report on KHRG’s website. Whilst this conflict case is mentioned in the Introduction, the community member does not give additional details in the Situation Update. Dichlorodiphenyltrichloroethane or DDT is a persistent toxic chemical used as an pesticide. It was banned in America in 1972 due to risks to the environment and human health, including links to poisoning of wildlife and its carcinogenic effect on humans. A worldwide ban against the use of DDT for agricultural purposes was established under the Stockholm Convention on Persistent Organic Pollutants, but it continues to be available for purposes of disease control, particularly in malarial zones. All conversion estimates for the kyat in this report are based on the 15 September 2016 official market rate of 1221 kyats to US $1. A standard refers to a school year in the education system of Burma/Myanmar. The basic education system has a 5-4-2 structure. A primary school run from Standard 1 to Standard 5, lower secondary school is Standard 6 to Standard 9, and upper secondary school is Standard 10 to Standard 11.